Dwyane Wade is one of the NBA's biggest stars. Wade and teammate LeBron James easily stand as the league's best duo. Wade has won three championships and is a nine-time All-Star. 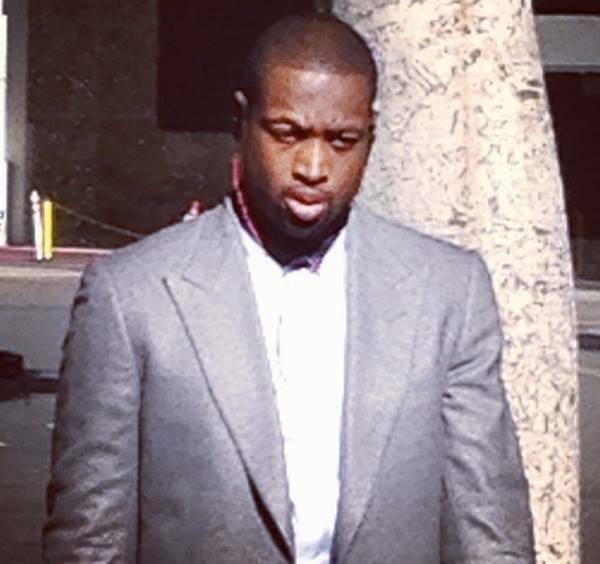 In the hours leading up to the Miami Heat's Christmas Day victory over the Los Angeles Lakers, the above picture shows Wade boarding the Miami team bus, parked outside the Beverly Wilshire Hotel. In the Heat's December 25 win, Wade totaled 23 points and 7 assists.